Browsing articles from "Август, 2016"
— Wedding concept. Songs for the wedding. — Wedding bouquets. The new forms, techniques. Global trends in 2017. — Wedding installation. Using the latest techniques and materials. 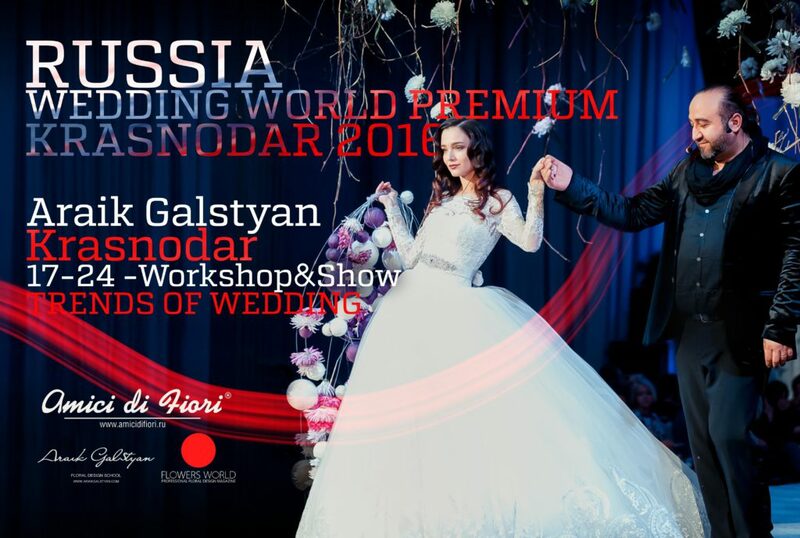 After the seminar, all participants have the opportunity to participate in creating a floral display show Wedding World Premium in the real world! Creating decorations and bouquets of bright events. This is an opportunity to try their hand at creating a large-scale floral design with designer Araik Galstyan. Arayik all training days on the court with you and teaches the latest techniques and steep approaches. Then all waiting Mega cool show, where participants will be spectators and enjoy the teamwork alive!